After what felt like a long cold winter Friday and Saturday’s warm sunshine felt like such a gift. I took Dini and Maggie back to one of our favorite places for walking, swimming, and inspiration. 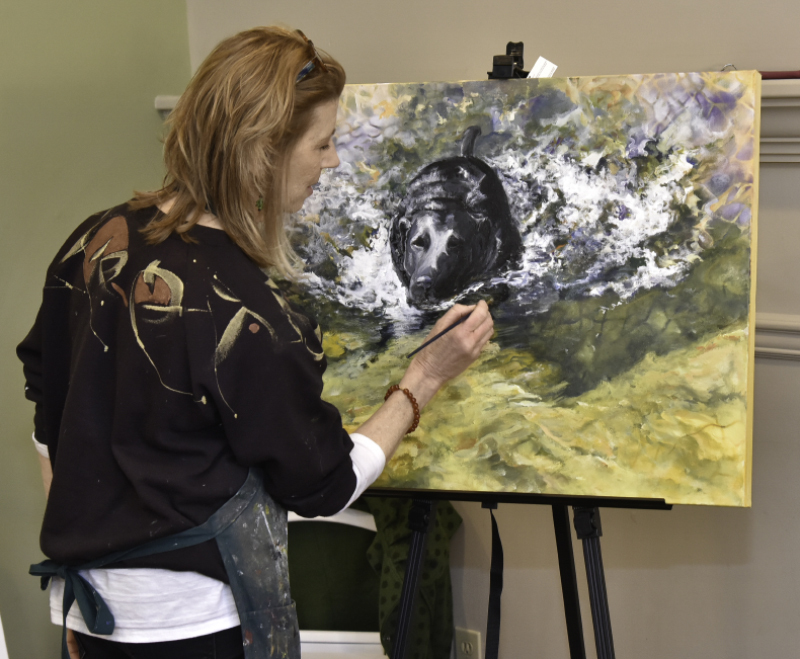 I also have returned to the easel in preparation for a couple of exciting events; the Art of Caring last month, and am working on some new pieces for the Chester County Studio Tour Saturday, May 19 & Sunday, May 20, 2o18. 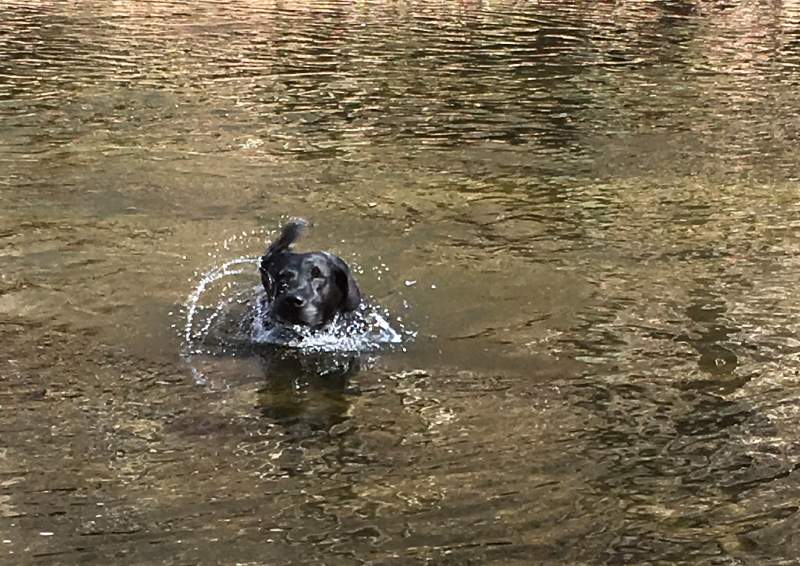 After the long cold winter, the creek must’ve been chilly, but Dini went right on it. I spent most of the winter working on large pieces of Tyvek® cut from a roll. 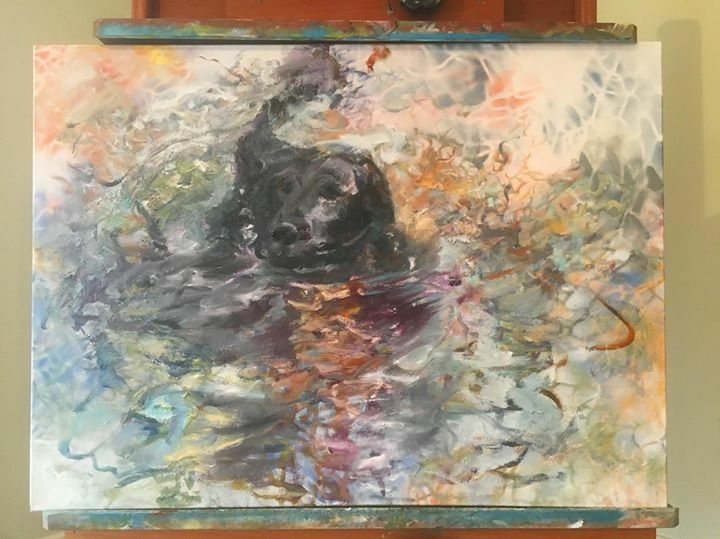 Recently, for the Art of Caring to benefit the The Hickman for Senior Living Residence Assistance Fund, I created an easel sized piece to be auctioned off at the end of the night. 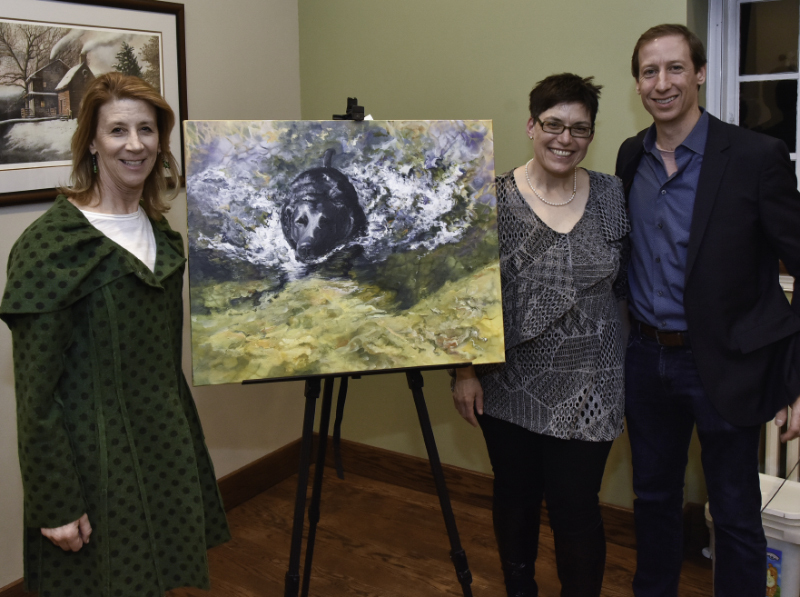 It was a beautiful evening of art, delicious food and drink held at the Oakbourne Mansion in West Chester, PA. I had the opportunity to paint and chat to many interesting people. At the easel, finishing touches on Towards the Light, acrylic, spray paint on canvas, 24″x30″©2018NanciHersh Photo: K.S.N. 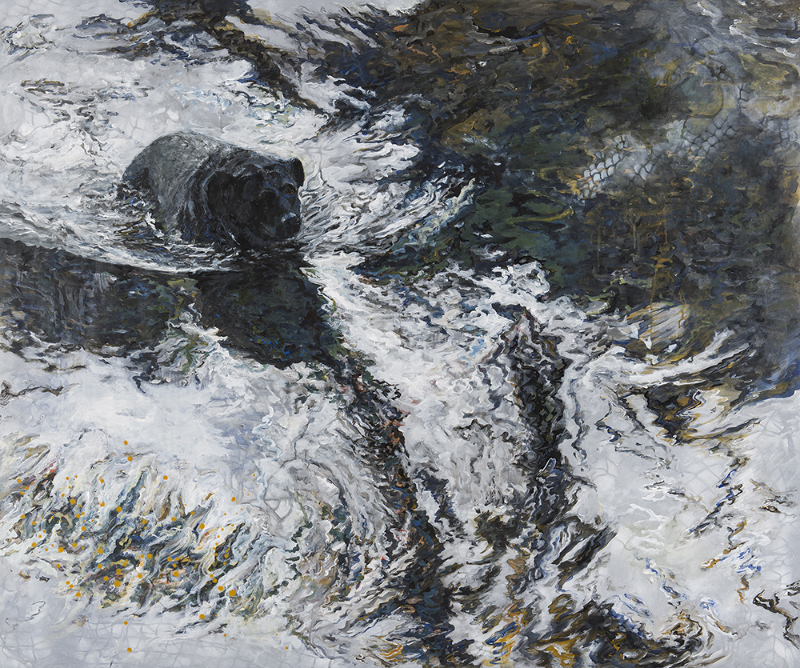 Images, Inc.
And in the end, Towards the Light went home with Alexandra and Andrew Brock! Alls well that ends well. Towards the Light has a new home and money was raised for The Hickman Residence Assistance Fund. 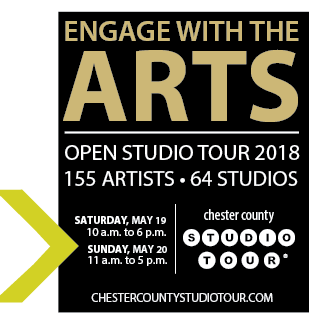 Excited to be a Host Artist this year on the Chester County Studio Tour, Saturday, May 19 and Sunday, May 20. Joining me are Elaine Brooks of Brooks Family Threads and Estelle Lukoff of Estelle Lukoff Designs. Together we are Studio 54! Stay tuned for more news on that!